I recall a friend who was about to file for a divorce expressing how she would be financially better off after she divorced her husband. A friend of hers had put this idea in her head, and she believed it without question. Since she and her husband fought frequently about money, she thought she would have more freedom with her finances after they were separated. Sadly, that was not the case; the divorce only compounded their financial problems, and she filed for bankruptcy soon after. This example is only to say: Don’t believe everything you hear. The effects of divorce can’t always be predicted, and there are many misunderstandings surrounding divorce. 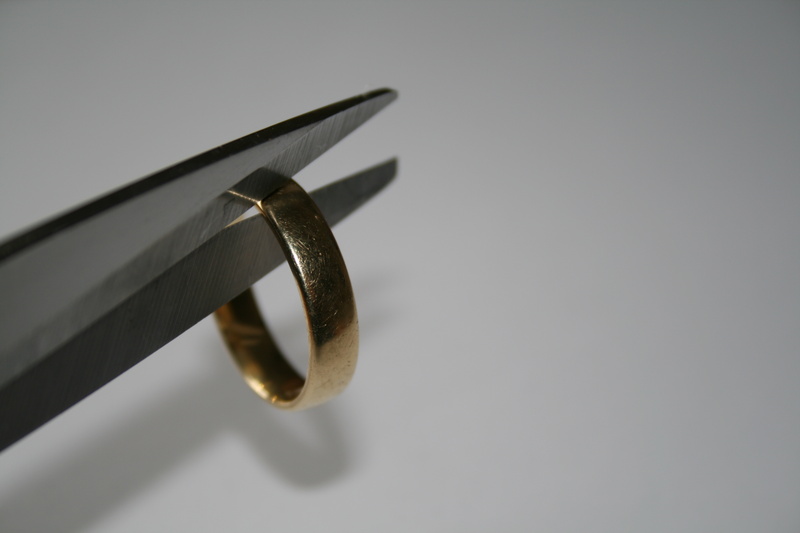 Following are a couple of myths about divorce. These come from David Popenoe, co-director of the National Marriage Project, and a professor of sociology at Rutgers University. Myth: Following divorce, the woman’s standard of living plummets by 73 percent while the man’s standard of living improves by 42 percent. Fact: This widely publicized statistic was based on a faulty calculation. The data was recalculated to show a 27 percent loss in standard of living for women, and a 10 percent gain for men. Popenoe says the gender gap post-divorce is real, and hasn’t narrowed much since the study was done decades ago. Myth: It is usually men who initiate divorce proceedings. Fact: Two-thirds of divorces are actually initiated by women. However, child custody and divorce laws in each state influence these numbers. States in which women have a better chance at retaining full custody of children have higher rates of women initiating divorce proceedings. In states where there is a presumption of shared custody with the husband, the percentage of women who initiate divorces is much lower, says Popenoe. While women more frequently file for divorce, men are more likely to have problems with drinking, drug abuse, and infidelity (which may lead her to want the divorce in the first place). So, let’s not “blame” women for divorces, folks. Myth: Living together before marriage is a good way to reduce the chances of eventually divorcing. Fact: Popenoe reports many studies have concluded those who live together before marriage have considerably higher rates of divorce. Myth: When parents don’t get along, children are better off if their parents divorce than if they stay together. If you’re interested in more setting the record straight, read Popenoe’s other Myths and Facts about Divorce. Perhaps spreading misinformation is one of the reasons why Divorce is Contagious? What rumors have you heard about the effects or causes of divorce? Have you questioned the veracity of rumors like these? This entry was posted in Divorce, Family, Marriage, Marriage Research and tagged better marriage, children after divorce, cohabitation, debunking divorce myths, Divorce, divorce myths, divorce research, financial impact of divorce, Marriage, Marriage Research, National Marriage Project, reasons for divorce, standard of living after divorce. Bookmark the permalink. Great work. Some truly interesting divorce myths. I would add that one of the most common misconception that I see at Reinherz Law, is the divorce has to be hard. Divorce does not always need to be a nightmare, as many of our clients proceed peacefully and are actually more satisfied than those that fight. A faster, cheaper, and more satisfying divorce is possible through mediation and uncontested divorce. With all due respect, I disagree. Divorce is ALWAYS hard. Perhaps you are correct that mediation and uncontested divorce may be more amicable than other divorces, but it is never easy to divide the emotional, physical and financial lives that two people had lovingly joined together. I believe divorce is rarely a good option and that most couples should work harder and longer to improve their relationship before considering it (unless some kind of abuse is involved).